Dissolve 30 kg of sugar in 100 litres of aqueous 2.9 g/l sodium citrate buffer solution. Add some fermentation culture to it and let the formed CO2 leave into the air. Then distill off the formed ethanol from the mixture. Tip: try to follow this tutorial with the flowchart editor using example project: Ethanol production by fermentation! For non-volatile components which remain totally in the residue not even a row is necessary. These can be omitted. Volatile components which distills out to a definite extent should be defined, and the amount must be determined by some experimental work. Swith the unit in the checking fields to %FM, composition of the distillate could be checked easily. Define composition of the residue by the same method but inversely from the point of view of volatility. The higher amount remains in the residue, the higher amount to set in the composition table. 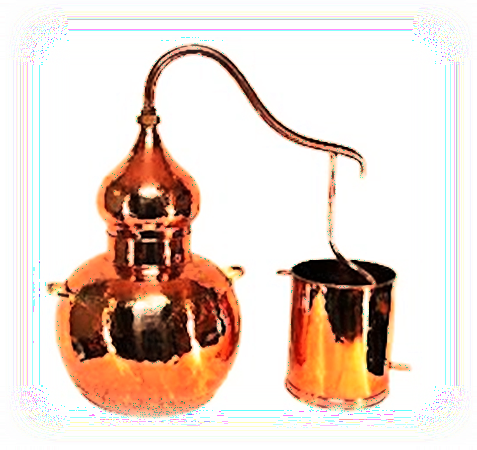 Some loss of vapor occurs at every distillation process due to imperfect condensation or/and imperfect sealing. If data is available about this kind of loss, it can be used in this program by the "loss" operation. Before this an output material must be definied for summarizing losses (e.g. "lost compounds into the air" or "exhaust gases into the air"). The composition of lost vapor should be roughly the same as the condensed distillate. In the example below the amount of uncondensed vapor takes about 0.5% of the initial mixture.